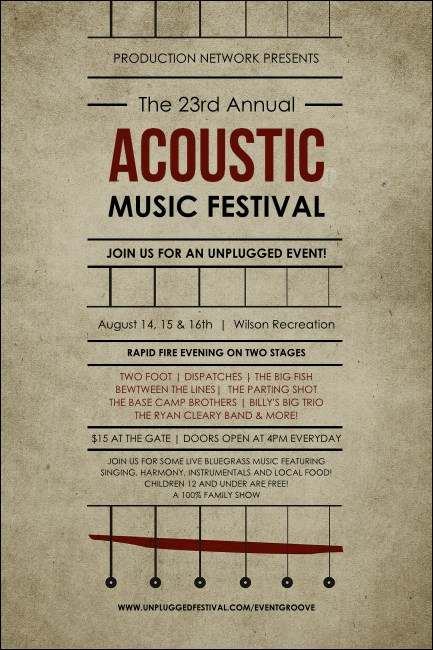 Play the perfect note with your pre-event promotions when you post Acoustic Strings Posters before your next show. With a classic, string instrument theme and a no-nonsense faded gray background, along with the option to include seventeen lines of text on the template, these Posters will help you keep your advertising beat. Stay in tune with TicketPrinting.com.